One, aside form the ending there is no horror in this film it is a drama that toes the line uneasily with melodrama, melodrama in a bad sense as the word is not necessarily always a pejorative. Two, I don’t find the freaks vulgar and/or offensive which is what categorizing this film as horror indicates. While their plight is sad and this film does portray their objectification well but in the end all it does is feed on our juvenile fear of the odd-thing which frankly doesn’t frighten me. 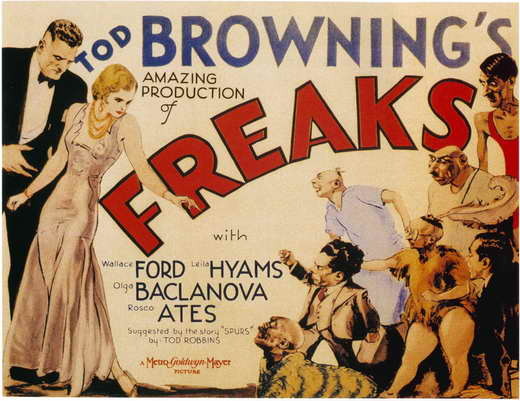 Freaks was a shocking film and controversial upon its release, however, now it merely comes across as dated. If you wanted a list of milestones in horror film history this film would be there, however, on a ten best list I’d most definitely exclude it. Milestones and great films are not always one in the same. 61 Days of Halloween- Die, Monster, Die!